Himalaya Herbals Protein Shampoo Colour Protect is a unique formulation that gently cleanses and protects your color-treated hair, giving it a longer true color look even after repeated washing. Our shampoo contains a unique blend of herbs which softens, smoothens and repairs your hair, making it radiant and healthy. 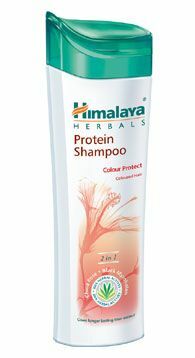 Massage Himalaya Herbals Protein Shampoo Colour Protect gently into wet hair and scalp. Rinse thoroughly. Repeat if necessary.